Plot No.2, N. D. Avenue, Opp. Club O7, Skycity Road, Off. S. P. Ring Road, Shela, Ahmedabad - 380058, India. Vishwanath Realtor was founded by Mr. Dushyant Pandya in 2013 after restructuring of Vishwanath Group. Under the erstwhile Vishwanath Group, we had success stories scripted for every category of the society. The story began with the Sharanamseries, moving onto Ishaan series and culminating with Shaligram series. 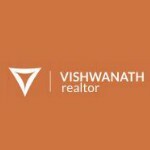 As Vishwanath Realtor, we have taken this journey forward with our commitment of quality at reasonable cost, excellent customer care levels with highest customer satisfaction index and exemplary standard for Staff, Society and Environment. The Company is managed by highly qualified professionals, thus ensuring transparency of documents, timely delivery of quality homes and complete customer satisfaction. We have gained the respect and reputation for our commitments and we pledge to continue. We, at Vishwanath Realtor, are scripting the Skyline of Ahmedabad and invite you to be a part of this story.